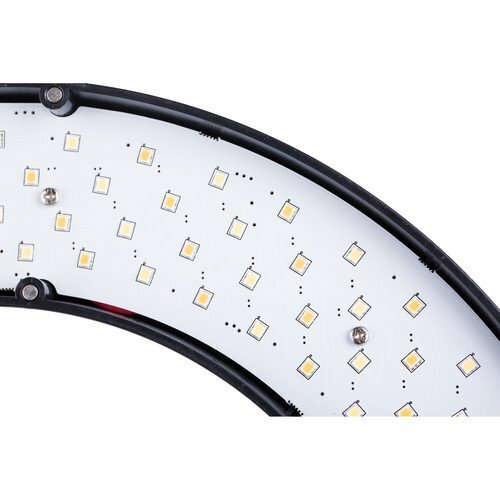 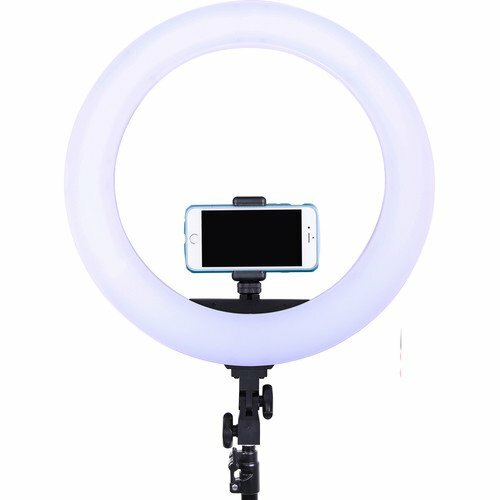 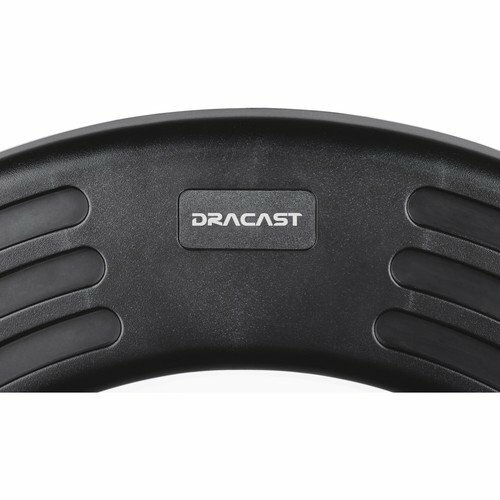 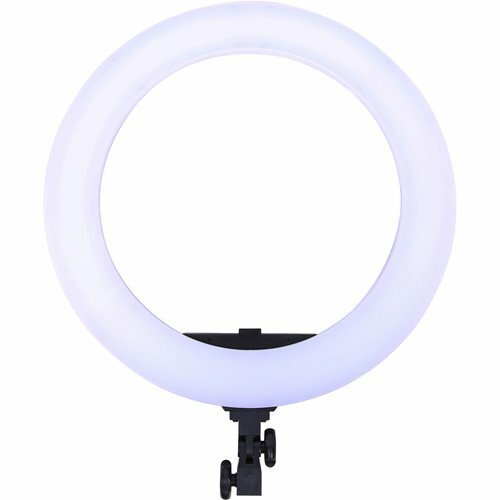 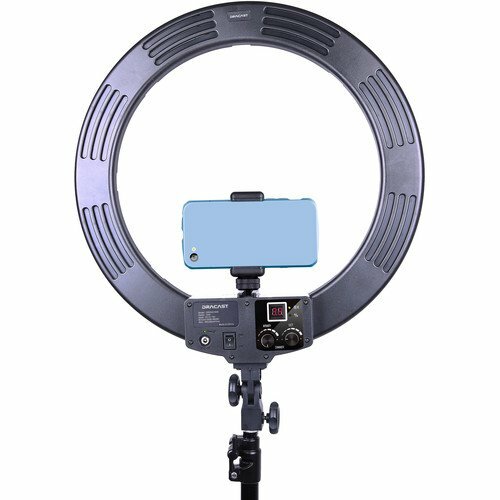 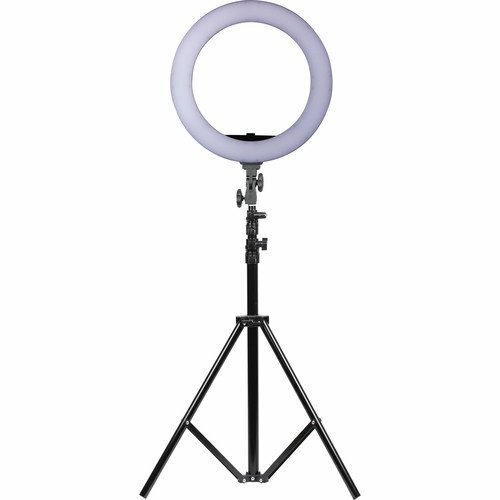 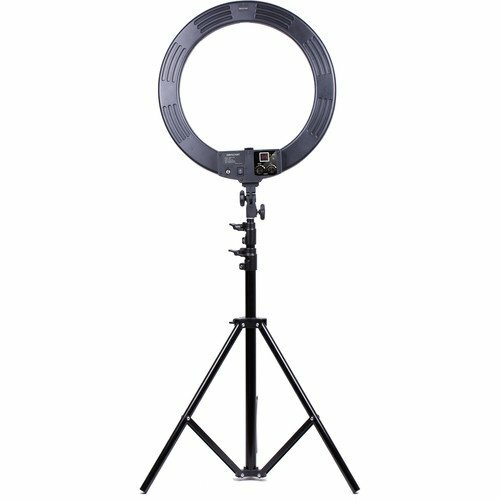 While the first thing that catches your eye is the LED180 Halo Bi-Color Ringlight‘s unique form, Dracast demonstrates its versatility through performance and convenience features that stress flexibility in design. 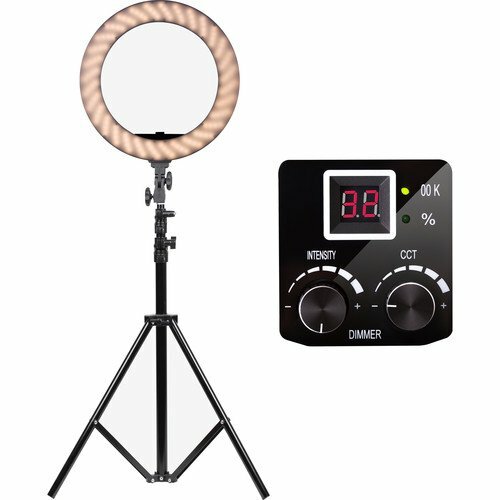 The LED180 offers color temperature that’s variable from 3200 to 5600 and anywhere in between to blend seamlessly with other fixtures, or to meet the challenge of inconsistent ambient light conditions without the burden of applying filters. Light intensity is also adjustable from 0-100% with a simple twist of a knob. 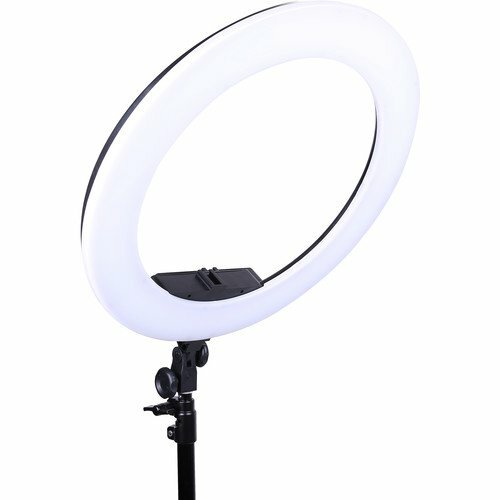 The LED180 Halo is ready for worldwide use thanks to the inclusion of a multi-voltage AC adapter. 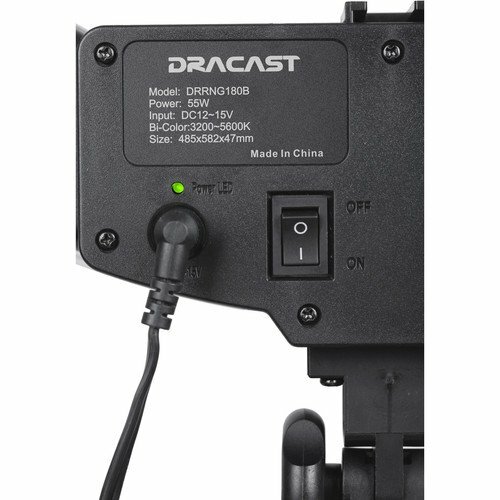 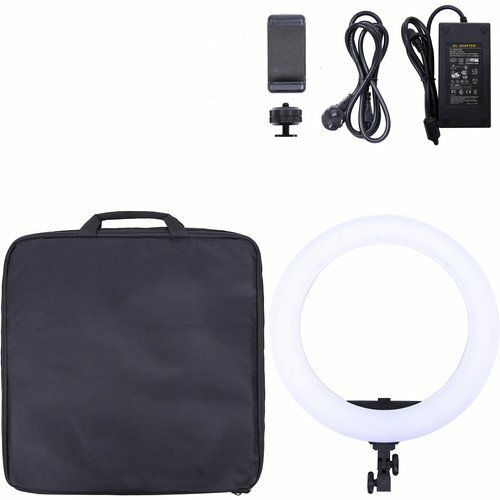 A hot shoe adapter, phone adapter, diffusion filter, and a carry case are also included. 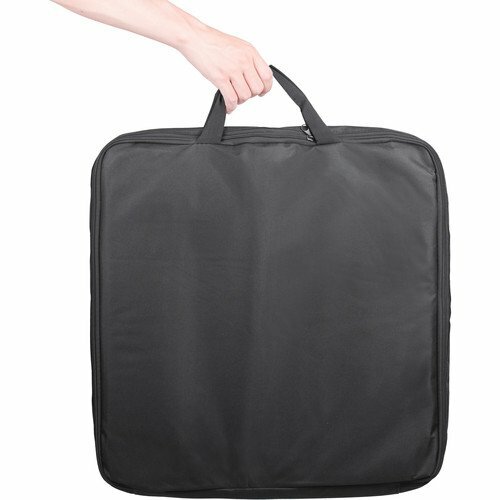 Box Dimensions (LxWxH): 21.0 x 21.0 x 4.0"